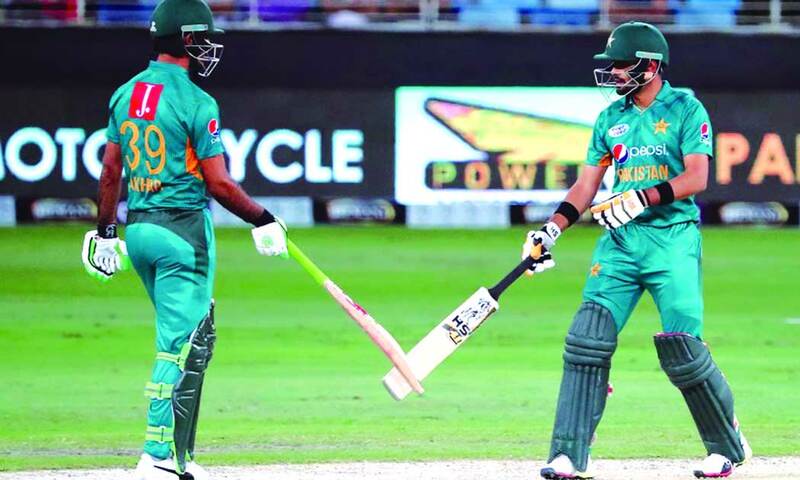 DUBAI: A ceremony to unveil the glittering trophy of the Pakistan Super League (PSL) 2018 was held here at the Dubai International Stadium on Tuesday. Before the Trophy unveiling at the Stadium a special ”Uber Trophy Handover” was carried out, said the information made available here by the Pakistan Cricket Board. The Trophy was picked up from Swarovski office in an Uber Chopper that took off from the Atlantis Helipad, the Chopper landed at the Me’aisem City Centre. 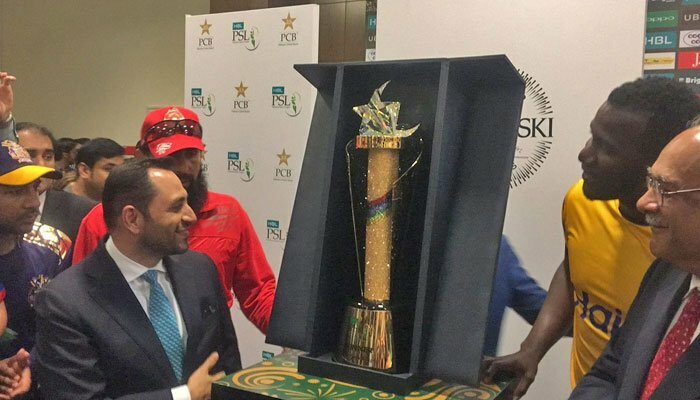 At the Me’aisem City Centre, the Trophy was received by captain of the reigning champions Peshawar Zalmi Daren Sammy who was driven to the venue in an Uber Limousine. 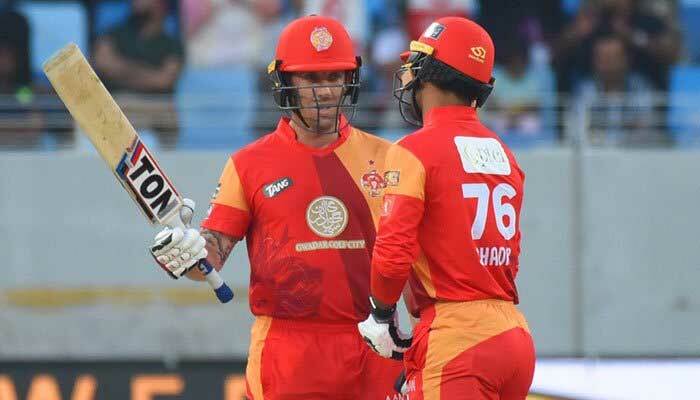 The captains of the five other franchises Brendon McCullum (Lahore Qalandars), Shoaib Malik (Multan Sultans), Misbahul Haq (Islamabad United), Imad Wasim (Karachi Kings) and Sarfraz Ahmed (Quetta Gladiators) were also present in the Limousine. Sammy and the rest of the captains were driven to the Dubai Cricket Stadium (DSC) where the Trophy was unveiled. The unveiling ceremony was attended by the management of the tournament and owners of the PSL franchises, along with top officials from the Pakistan Cricket Board. 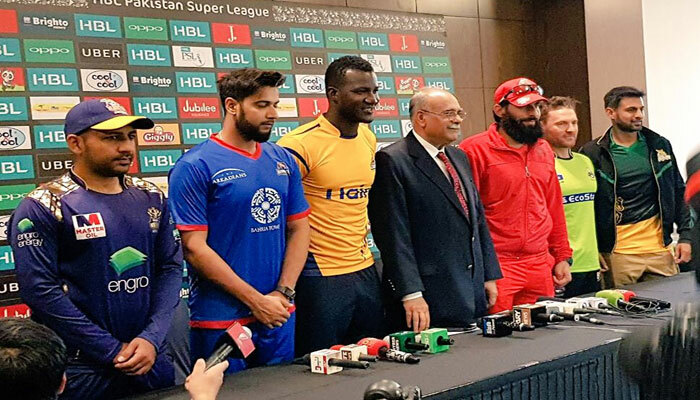 Speaking on the occasion, chairman Pakistan Cricket Board (PSL), Najam Sethi thanked all the stakeholders for making the tournament a reality for the third year in the running. “I am grateful to all stakeholders, sponsors, franchises and the players for their outstanding support and contribution in making the PSL prosper, I wish all captains the very best and I hope that we see exciting cricket over the course of the next one month both in the UAE and the last leg in Pakistan”. 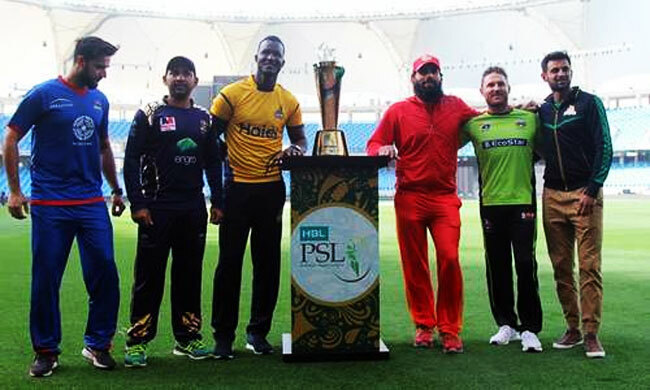 The third edition of the PSL will be kicked off from February 22 with the opening ceremony before the first match between defending champions Peshawar Zalmi and debutants Multan Sultans at the same ground.